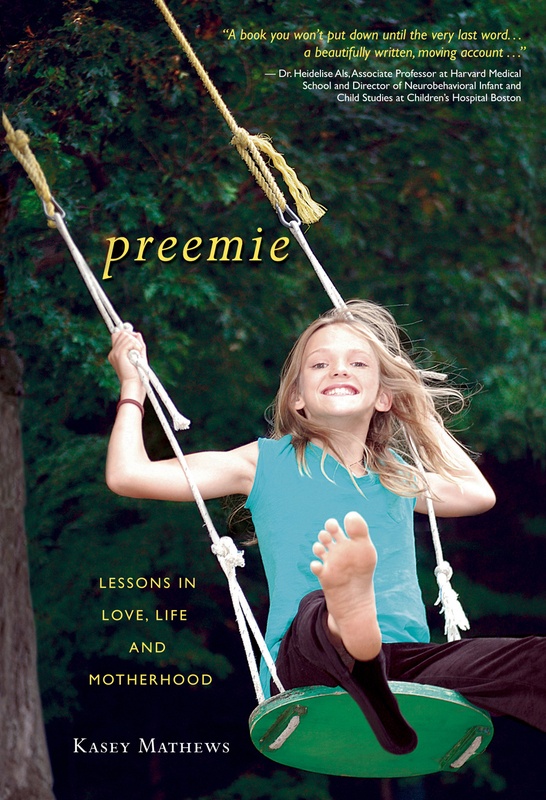 Preemie is a memoir that tells the story of Kasey Matthews – a woman in her younger 30’s who was married with a toddler when she got pregnant for a second time. The second time around, her pregnancy ended four months earlier than expected. She found herself the mother of Andie – a 1 pound, 11 ounce micro-preemie. I’ve never given birth to a preemie – I’ve never given birth at all, actually. You don’t have to be a preemie parent or even a parent to find yourself sucked into this incredibly emotional intense book. I was crying by page six. Perhaps part of why it hit home so much was the fact that my sister in law gave birth to her son when she was only 5.5 months along. He had never formed kidneys, or a couple of other organs so they knew that he wouldn’t be with us for very long before he was born..he lived for 26 minutes. Reading the description of Andie’s tiny body was overwhelming as I imagined what such a tiny human would look like in person. Even to imagine it or read about it is scary yet amazing. I can’t imagine how it would feel in person. The majority of the rest of the book is just as intense. Like with most preemies, Andie would be healthy for a time and then out of nowhere her parents would find themselves in the midst of a medical dilemma with her. I think it’s a great read for all adults because most of us have a person or two in our lives who have had, or will have a baby prematurely. I found myself better able to imagine how life would be from the perspective of a preemie parent now that I have read the book. I appreciated the brutal honesty about the emotional struggles that Kasey went through when her daughter was first born. While we can all imagine that it would be a difficult situation to find ourselves in, it was surprising to see the author admit that she was afraid of becoming too vulnerable because she always feared that her daughter may still pass away. Seems how she was afraid of becoming vulnerable, she put up walls that were intended to protect her, but were making her unable to really fully connect with her baby. While it’s completely understandable that a mother may have that fear and react that way, I was surprised that she admitted it so openly. I am sure that for other parents who have felt the same way, it would be incredibly refreshing and even therapeutic to realize they aren’t alone and don’t need to feel guilt over having those feelings. I read probably 80% of the book within 2 days and then I had to struggle to finish it. The primary reason why I struggled with the end was it felt a bit preachy and mainly discussed alternative medicine and holistic medicine a lot which was a bit of a turn off for me as that isn’t my thing. However, I think for people who believe in alternative medicine, it would only make the book more interesting so I think it just comes down to personal interest and beliefs. Even if I had stopped near the end where I started to lose interest, I was pleased with the book overall. I have already passed it on to my sister who saw it at my house and said it looked like a great read to her. Buy it: You can purchase preemie in paperback for $12.36 or $7.99 for the Kindle version.